Delhi : Diabetes is fast gaining an epidemic status in India. According to an estimate drawn by the Indian Medical Council of Research in 2014, there are about 77.2 million people in India suffering from pre-diabetes and over 65.1 million diabetes patients. India is second only to China in the number of reported cases of diabetes. By 2030, India is estimated to be the diabetes capital of the world. The aetiology of diabetes in India is multi-factorial and includes genetic factors coupled with environmental influences such as obesity associated with rising living standards, steady urban migration, and lifestyle changes. An upsurge in number of early-onset diabetes cases is also responsible for the development of various diabetic complications due to longer disease duration. Despite increasing awareness of diabetes and its life-altering complications, very few people undergo regular screening tests proactively to prevent disease. In an analysis of over 49,788 samples tested for Fasting Blood Glucose* at Metropolis Healthcare Ltd, a leading chain of multi-national diagnostics, the following are the findings. 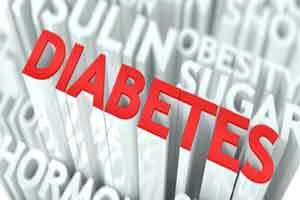 Out of the 49,788 samples processed between the age group 20 to 80years, over 10,228 samples were found to be positive for Diabetes Mellitus and over 10,928 samples were found to be in a pre-diabetic condition which constitutes high risk group for developing diabetes. In a % analysis of overall samples, we observed an increasing trend with progression in age. 20.54% are found positive for Diabetes Mellitus, whereas 21.94% have Pre-diabetes conditions. Out of the 49,788 samples, the following are the gender wise findings. American Diabetes Association, 2015, recommends Fasting plasma glucose levels below 100 mg/ dl. A pre-diabetic (Increased risk for Diabetes) condition measures 100 – 125 mg/d L and values above >= 126 mg/d L is diagnostic of Diabetes. Commenting on the study, Dr. Geeta Chopra, Chief of Lab said, “India is already infamous as the diabetic capital of the world, It is absolutely necessary for people to do intensive lifestyle modifications, especially in the cities & develop healthy diet habits to prevent Diabetes in the population. Screening for diabetes should begin when you hit 30 to prevent disease. Regular walks & exercise for adults; Physical activity / outdoor activities for children should be part of the lifestyle modifications. Timely health checks & regular blood glucose monitoring is essential for Glycemic control and prevention of Diabetes. An increasing trend is noticed both in male and females with a progression in age. Males are seen at a marginally higher risk for diabetes from the data analysis. Diabetes Mellitus is reaching potentially epidemic proportions in India. The level of morbidity and mortality due to diabetes and its potential complications are enormous, and pose significant healthcare burdens on both families and society. Worryingly, diabetes is now being shown to be associated with a spectrum of complications and to be occurring at a relatively younger age within the country. Fasting blood glucose is usually the preliminary test to check for pre-diabetes or diabetes. Fasting of 8-12hrs is required for blood glucose testing. Diabetes is a complex, chronic illness requiring continuous medical care with multifactorial risk-reduction strategies beyond glycemic control. Diabetes is a serious health condition and if left untreated may damage eyes, kidneys, nerves and blood vessels.